To ALL participants and OPFers! Share it on your own page! invite all your friends! Let's contribute to Asher's efforts to promote our work and OPF! Sign in and invite your friends to like the page and even join the event! You may even share the event on your own Facebook page! All in all that will market OPF to more photographers and may enrich our OPF contributions and discussion, so where ever you're on the planet (even in Australia ; ) share! share! Well, the time is upon us! I think I speak for all of us exhibitors that can't attend the show, to beg you to please send us photos of the fair, and what our framed works look like as exhibited! Good luck with what hard work remains to set up the GalleryONE display, and thank you from the bottom of my heart for all the hard work. Me too..ditto, ditto. I cannot imagine what it is taking for Asher to get all this accomplished. I can't but agree with Dawid and thank again Asher and Nicolas who is also an important person in the process ! Well done to get it happening. I hope it's a great success. "Pics, or it didn't happen"
Asher and Nicolas are probably too busy at the moment to participate in the forum. I am confident that they will post pictures of the exhibition as soon as they have time. We certainly hope they're too busy! There are two new images on the FB page. omg I think I'm gonna die waiting…………………………………………………………………………. Great, thanks a lot Nicolas! Looks spectacular! Beautifully presented and curated. What shows an amazing amount of very hard work, pays off in an exhibit that hits a home run. Everyone had its loads of WOWs and WAWs and OMGs, the stand almost never got deserted! Nicolas I loved what you shot. Fantastic composition of the exhibition! but you know, the most difficult for both hanging the prints and shooting these snaps was to get verticals vertical as the walls seemed to have survived an earthquake! It is wonderful that OPF members were provided with photos of the well set up exhibit. It is also wonderful to see that it was well supported by guests and viewers of the works. Our exhibition was highly successful. 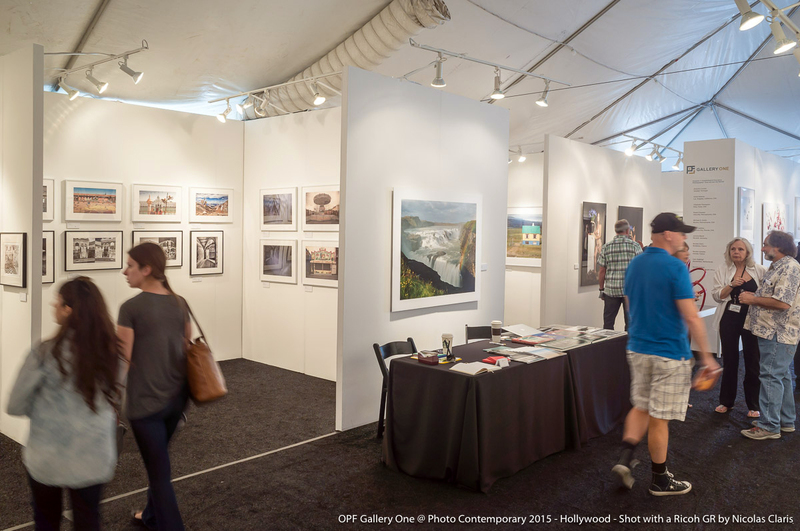 We had the largest amount of positive feedback from our exhibition from collectors and artists alike to the director of the entire photography show. The head of the London National Portrait Gallery lingered and offered good feedback and invited me to visit in the summer. He was impressed with the work. Sales are ongoing and individual photographers will be notified. To early to add up profits as there are too many things still happening. However the gallery was a success and next time it will be easier! Right now, my home is bein transformed into a gallery with the OPFrs works displayed. That will be for collectors "by appointment" directed from http://opfgalleryone.com. Thanks to Nicolas Claris for adding his expertese to updating folk's CV and Artist's info and testing the new site for us for functionality!